One of the most challenging things about firearms ownership is selecting the right ammunition for the task at hand. For some of my readers, this is primary school stuff, but for others it isn’t. Besides, everyone needs a refresher once in awhile. 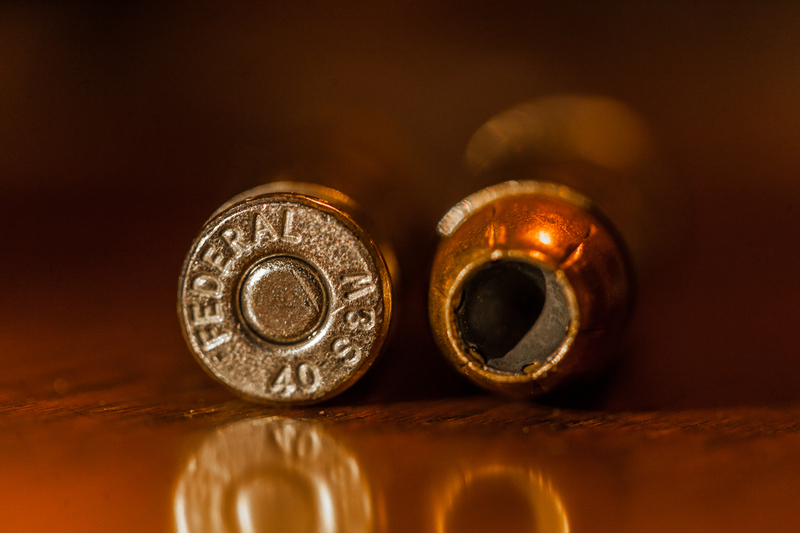 There’s a whole range of bullet types and calibers out there, but for the purposes of this discussion, we’re going to cover what I consider the “major” calibers, 9mm, .40 S&W, and .45 ACP. 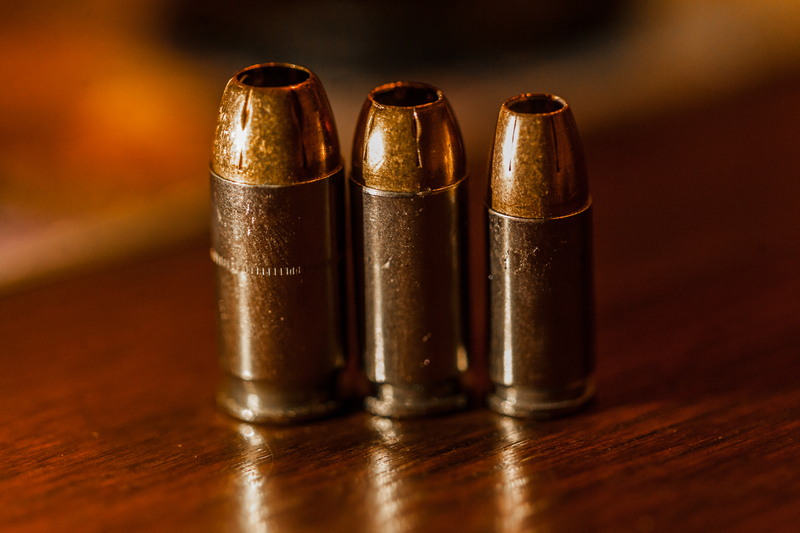 These three calibers are the most commonly-used for pistols here in the US by civilians, law enforcement, and military users alike. I’ll also go over the two major bullet types for pistols, full-metal jacket, and hollow point, as well as a short discussion of bullet weight. As was stated, there’s two major bullet types - full metal jacket (FMJ), and hollow point (HP). There’s a few other variations in there that you may such as total synthetic jacket (TSJ), wadcutter, and so forth, but for clarity we’ll keep it to the two majors. And in this case, when I say “bullet”, I mean the projectile itself, not the entire object, which is referred to as a cartridge. Full Metal Jacket. Great movie. Named so because this is the type of ammunition most commonly issued to the military, mainly for treaty reasons which prohibit hollow point on the battlefield. FMJ projectiles are what people most commonly think of when you say “bullet”. The tip is either round or flattened, and there’s no “cup” in the nose. FMJ cartridges are cheap and easy to produce, so they are most often used for training. If in fact they are used for a defensive application, they will most likely go through the target, leaving a small wound channel, and aren’t likely to incapacitate the target. And yes, the risk of overpenetration is high, i.e. the bullet will keep going and strike something else, whether you intend it to or not. Common brands of commercial FMJ ammunition are Federal “white box” and Speer Lawman. The hollow point. 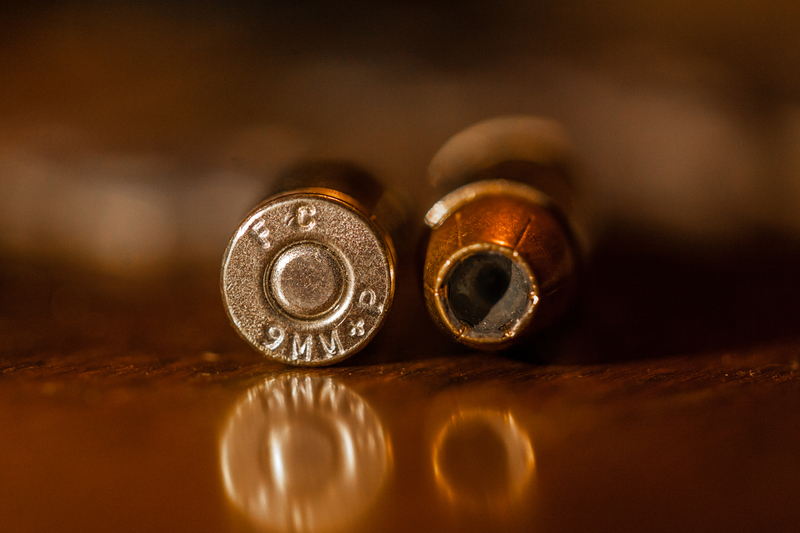 To the media, these are the “nasty” bullets. Your average MSNBC (whoops, got a little political there…) host thinks an HP round will strike a target, go through it, and end up killing a dog somewhere in the next county over. Which is actually the polar opposite of the truth. Observe the pit in the tip of the projectile, along with the small lines emanating from it. This is to facilitate the expansion of the projectile when it strikes a target, which means there is a larger wound channel created, increasing the chances of incapacitation. Also, since the bullet is rendered un-aerodynamic upon impact, it is far less likely to overpenetrate and strike something unintended. For this reason, they are the ideal self-defense round. You hit what you intend to, and there’s little risk of an unintended strike on something beyond it. All law enforcement officers carry hollow points as their duty ammunition. Hollow points are legal for carry in every US state except New Jersey. Sorry, guidos. Common hollow point brands include Speer Gold Dot, Federal HST, & Hornady Critical Duty. Due to the shape of the projectile, which requires more machining and “lost” material, hollow points are always more expensive than FMJ. 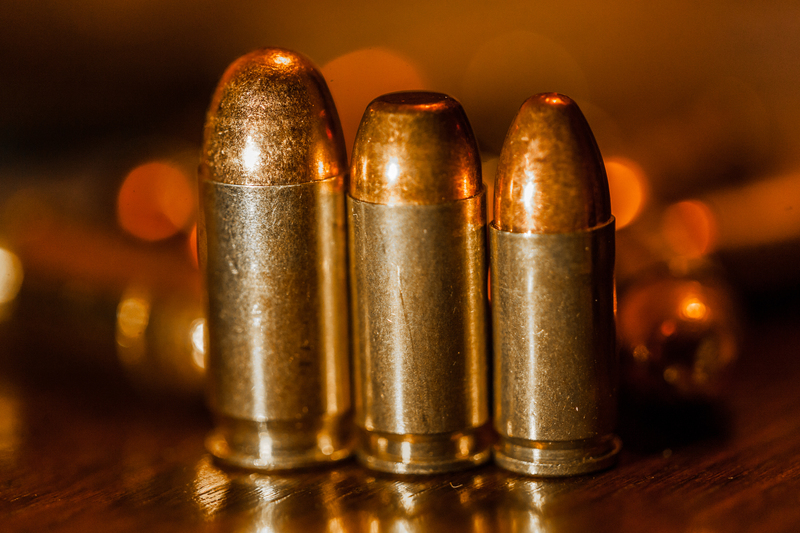 Bullets aren’t just a uniform chunk of lead and copper in front of some explosive powder. They’re of different diameters and weights, as well. Just so we’re on the same page, I’ll get long-winded about the two terms below. Caliber is the diameter of the barrel of the gun, and the diameter of the bullet going through said barrel. The units used depend on where the bullet was developed. In general, if the bullet was developed in Europe, the measurement is in millimeters, i.e. the 9mm. If the bullet was developed in the US, the measurement is in hundredths of an inch, i.e. the .45 ACP, which means the bullet is 45 hundredths of an inch in diameter. 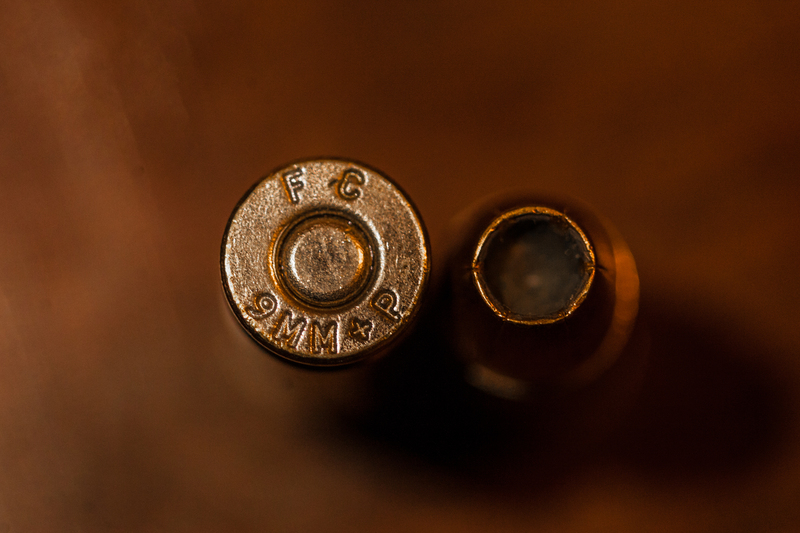 Often abbreviated “gr”, you’ll see the term “grains” on the sides of every box of ammunition on the shelves. This number tells you how much the bullet itself weighs, in the antiquated unit of “grains”. A grain is 64.798 milligrams. Yes, I looked that up on Wikipedia. One thing you’ll learn is that the firearms industry, no matter how high-tech the guns get, will still use some positively antiquated measurement schemes. Even European ammunition manufacturers use “grains”. In general, the heavier the bullet, the slower it goes as compared to a lighter bullet with the same amount of propellant behind it. Here in the United States, there’s three calibers in common use amongst civilians, law enforcement, and the military. 9mm, .40 S&W, and .45 ACP. There’s others, but most beginners stick to the “Big Three”. 9 millimeter. Most of us of a certain age probably heard of this caliber in any number of hip-hop songs from the late 1980s and early 1990s. “Nine”, or whatever. Despite this, the 9mm caliber is actually over a hundred years old. Technically referred to as the 9x19mm Parabellum, (the 19mm part refers to the length of the overall cartridge, and Parabellum means ‘for war’ in Latin), the cartridge was developed in 1902 in the German Empire (yes, with the Kaiser and all that…) by a fellow named Georg Luger. You’ll often see on the headstamp (the rear of the cartridge where the firing pin strikes) the phrase “9mm Luger”. This refers to the inventor, of course. 9mm is the most common pistol round in the world today. It’s used by regular guys and girls like myself, major-league doorkickers in law enforcement, and just about every modern military unit out there today. It’s cheap, standard, and easy to find, even in a crisis. It’s low recoil and effective stopping power usually make it the first pistol round people shoot and purchase. Your projectiles weigh in at anywhere between 90 grains and 157 grains for some subsonic (suppressor-optimized) rounds. When in doubt, go with the 9mm. You’ll sometimes see a variant of 9mm called 9mm NATO by the way. It will work in your 9mm pistol, however, bear in mind this is a military load (hence NATO) and has a little more propellant in the cartridge, resulting in a little more of a kick. As long as your pistol is in good condition, it can handle it. Caveat, it will wear down parts like your recoil spring and extractor quicker, but unless you shoot “NATO” exclusively, this isn’t a major concern. Give it a run once in awhile. You’ll feel like an operator. Or not. The .40 S&W. Back in the 1980s, law enforcement guys at the federal level, mostly the FBI, had it in their heads that they needed more powerful ammunition beyond what their .38 Special revolvers could deliver. The original candidate was the powerful 10mm Auto cartridge. Fun fact, Don Johnson used a 10mm Bren Ten in Miami Vice. But anyways, the 10mm proved a handful for all but the most robust Fed cops, so they contacted Smith & Wesson to figure out an alternative. S&W figured if they reduced the power of the 10mm load, it could be manageable by most agents. By reducing the power (i.e. less propellant in the case), they could also reduce the size of the case. Their work begat the .40 S&W, which conveniently fit into their existing 9mm pistol frames, so the only real investment needed was on the of the ammo manufacturers, and all S&W really had to do was invest in some new tooling for the barrels and other associated parts. Note that the measurement is in inches, since the round was developed here in the US. 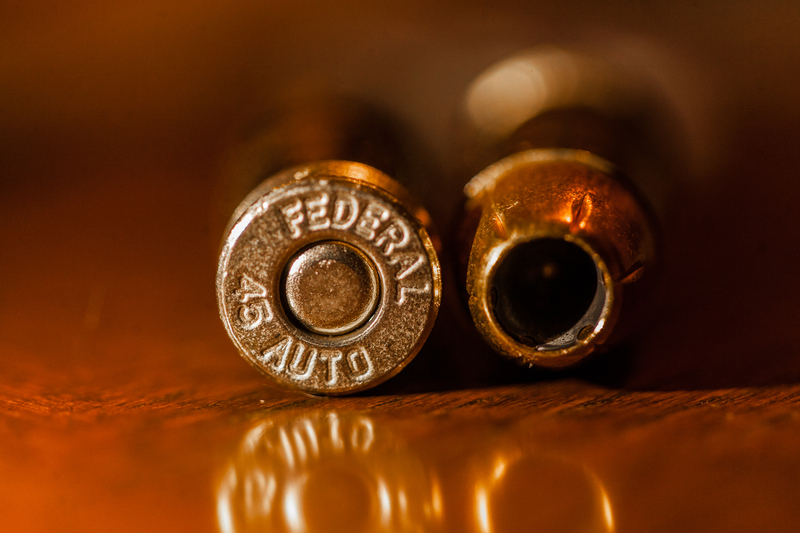 The Feds scooped up the guns and the ammo, along with a lot of state & local agencies. It proved somewhat popular in civilian usage, as well. In my experience, it’s snappier than the 9mm, but not unmanageable. The Regular Girl carries a Smith & Wesson M&P Shield 40 and has no problems with it at all. However, recent advances in 9mm bullet technology have made the choice between it and .40 S&W more of a personal choice rather than a performance choice. Current developments actually have the FBI switching to 9mm after over two decades of .40 S&W use. Don’t be disheartened though, it’s still a popular caliber and isn’t going away. Projectiles for .40 S&W weigh in between 135 grains and 200 grains. Costs are relatively on par with 9mm. .45 ACP. This, ladies and gents, is the quintessential American cartridge. Designed by John Browning (the “Jesus” of American firearms engineers) himself in 1904, the .45 ACP was designed, as most ammunition is, to address the shortfall in older military loads, notably because the Army’s prior choices proved ineffective in taking down determined Moro warriors during the Philippine conflicts from 1899-1902. After much testing, “JMB” came up with the .45 Automatic Colt Pistol cartridge, so named since he was in the employ of Colt at the time, and the cartridge was to be used in a semi-automatic pistol, which eventually became the venerable M1911, aka the “1911”, which was the military’s duty sidearm until the late 1980s. The USMC used it exclusively up until recently, even. Big and burly, the “45” is known for it’s moderate recoil and effective stopping power just by virtue of it’s sheer size. Even FMJ .45 ACP ammunition can be used as a self-defense round. The wound channel from .45 ACP in hollow point is simply stupendous. However, .45 pistols tend to be larger and more cumbersome for novice shooters. This is definitely not something you want to start someone off with. 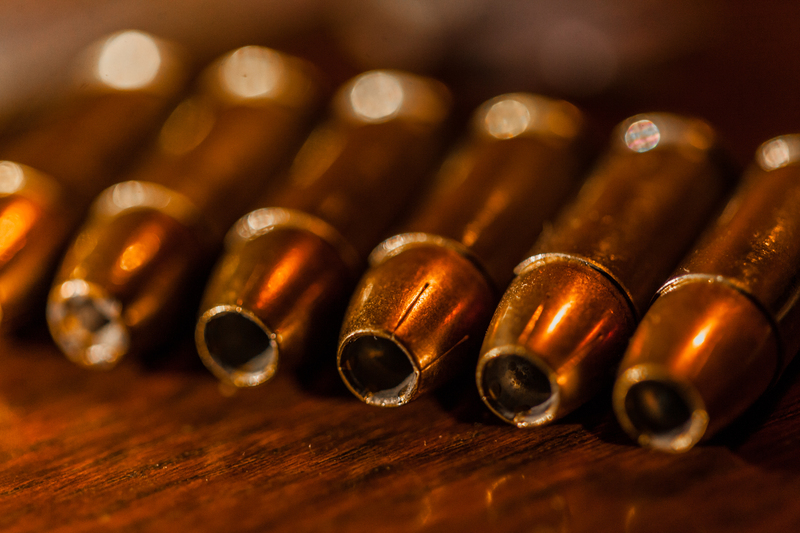 Bullets weigh in between 185 and 230 grains. Yes, they’re huge. The .45 has been around for more than a century, and isn’t hard to find. Oddly enough, a new “duty pistol” competition is heating up for the military, and some of the contenders are offering up .45 ACP designs. We could see a return to the .45 in the services real soon. Owing to the size though, it gets expensive. Your average box of FMJ can cost up to twice as much as a box of 9mm in the same quantity. However, everyone needs a .45 in their collection, even if it’s just for diversity. Once you get used to it, it’s a fun round to shoot. +P, +P+, what’s all that? Sometimes you’ll see on the shelves, ammunition in a given caliber marked with “+P” and “+P+”. Simply put, these are loads that are more powerful than the standard of that caliber. The power is measured in psi here in the US, and obviously kPa in Europe. The “+” symbolizes that these cartridges are loaded to a higher power than normal. As a reference, there are “governing bodies” which set all the specs for ammunition. In the US, it’s the Sporting Arms and Ammunition Manufacturers’ Institute (SAAMI), and in Europe it’s the Commission internationale permanente pour l’épreuve des armes à feu portatives aka the CIP. For example, a standard 9mm cartridge, when fired, generates a pressure of 35,000 psi in the chamber. A +P 9mm cartridge generates a pressure of 38,500 psi, roughly a 10 percent increase. Obviously the tradeoffs are a higher-velocity bullet, along with slightly more wear on your gun and higher felt recoil. +P is typically used in guns with shorter barrels, i.e. subcompact pistols, to make up for the decreased barrel length versus a full-size gun. +P is still a standard though. On the other hand +P+ is not a standard. Pressures can be 20 percent more than standard, or greater. +P+ loads are usually developed at the request of specific law enforcement agencies. My general advice is to use +P+ only from reputable manufacturers and only in modern pistols that specifically say they are “good” for +P+. Obviously this will place wear on your pistol and there is a definite increase in felt recoil. Nonetheless, +P+ loads are sometimes issued to professional users. Our own Border Patrol utilized a +P+ load by Federal called 9BPLE for years to great success. Ammunition & firearms manufacturers don’t stand still. Yes, two of the cartridges I went into detail about have been around for more than a century, but the guys and girls in the labs and proving grounds are always up to something. Some of these experiments go nowhere, some gain limited acceptance. The .357 SIG cartridge came about in the 1990s and was developed from the .40 S&W by SIG-Sauer & Federal Cartridge Corporation. It’s slightly longer than the .40, and it “necks down” to accept a 9mm bullet. I’ve personally never fired it, but users compare it to a “hot” (powerful) 9mm load. Notable users include the Texas Rangers, and the United States Secret Service. Usually, elite door-kickers get to pick whatever fits their needs, it seems. .380 ACP is a bit controversial. Master of all things handgun, Massad Ayoob, describes it as such, “Some experts will say it’s barely adequate, and the others will say it’s barely inadequate…”. Most people I know tend to agree. In Europe, they call it the “9mm Kurz” (“Short” in German) and it’s oddly enough the load for 007’s later iterations of the Walther PPK. Never thought I’d see a tiny bullet like that fling people that far. Use at your own risk. 5.7x28mm was developed by the fine folk at FN Herstal in response to a NATO request for something better than 9mm Parabellum. The spec called for greater range, improved terminal ballistics, and the ability to penetrate newer varieties of body armor. FN came out with this load, as well as two companion weapons, the P90 (PS90 semi-auto for civilian use)submachine gun/pistol-caliber carbine, and the Five-seveN pistol. From the P90, it sizzles along at nearly rifle velocities, and it’s no slouch out of the Five-SeveN pistol either. The breaks, of course, are that it can only be used with these two FN firearms. Thus the ammo cost is high due to limited production. However, many specialized units around the world use both the P90 & the Five-seveN, including the US Secret Service, and various special operators in FN’s home turf in Belgium. It’s easier to use exotic ammunition when you’re passing the bill to someone else, I guess. .50 AE - The “AE” stands for Action Express. “Express” was an old ammunition manufacturers’ term for “fast”. This load is most famous for being the choice for the Desert Eagle, now built by Kahr. The “Deagle”, as it is known, is the proverbial “hand cannon”. This is probably the only pistol load on here that lives up to the Hollywood hype. It’s loud and obnoxious. However, I’ve been told that the large-frame Deagle soaks up the worst of it and it’s actually manageable to shoot in terms of felt recoil. Anyone want to help a Regular Guy get some time with a Deagle? That, I don’t know. The choice of caliber depends on many many factors. Your physique, skill level, tolerance for recoil, budget, and other factors. The best advice I can give you is to at least try the common calibers a few times, and make up your mind from there. Of course, there’s nothing wrong with having more than one caliber in the inventory. Whether it’s for good times, or bad, diversity in ammunition is never a bad thing. I’ll be covering rifle ammunition in a future article. I may have missed something. As always, these articles, while based in facts, are often a reflection of my experiences and interpretations. If you’ve got your thoughts, or advice, sound off in the comments section below.